Dip is one of those recipes that really has no reason not to be Paleo-friendly, but somehow it’s almost impossible to find in stores (a little bit like good salad dressing). So instead of going a little nuts trying to find a dip that follows Paleo guidelines, why not make your own? It’s an opportunity to really play around with the seasonings and find out what you like best. 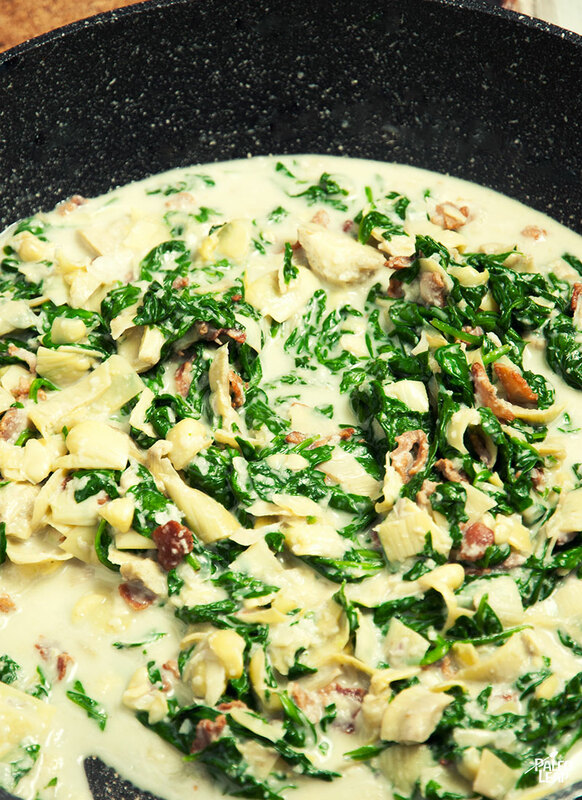 Here, coconut milk stands in for the traditional cream base, and bacon, spinach, and artichoke give it flavor and weight: it’s solid enough to be a filling snack if you’re craving something to nibble. It is a little bit more involved than standby favorites like guacamole, but it’s not actually that complicated. Just remember to leave everything plenty of time to cool down before you serve it. 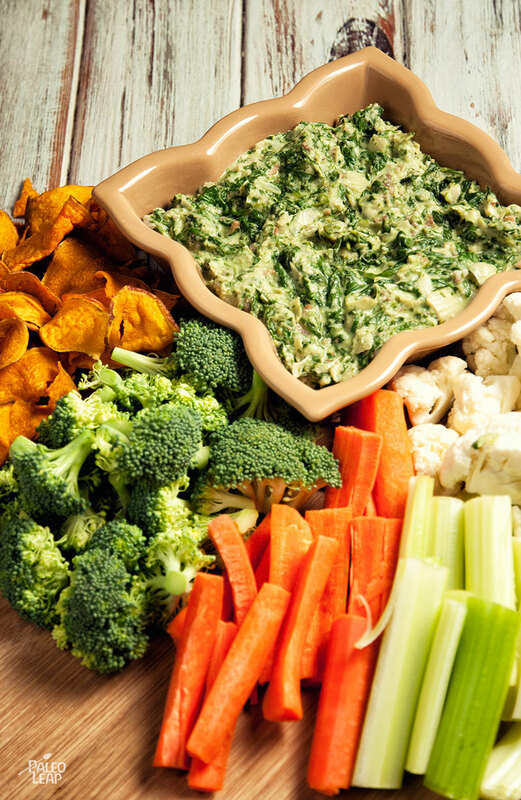 Once the dip is chilled (and assuming you can resist the temptation to eat it all straight off the spoon), serve it with chopped carrots, pepper strips, or any other vegetables you could think of – or go the fancy route and try out a Paleo recipe for crackers or dipping chips. It’s an ideal replacement for guac if you have any guests who aren’t really into avocado, or if you just want to try out something new and a little bit sophisticated for a change. SERVES: 6 PREP: 15 min. COOK: 15 min. Sauté the bacon bits in a skillet placed over a medium- heat until the bacon begins to brown. Add in the onion and garlic and sauté for 2 to 3 minutes. Add in the artichokes and spinach and cook for an additional 3 minutes. Pour in the coconut milk and combine well. Refrigerate for at least 30 min, and serve with fresh vegetables.